How much do you love this canvas? I have been big on the white home decor trend for some time now and this is going to look amazing in my house. I just need to decide where to put it ... I think it would be the perfect addition to my washroom. (Yes, I decorate my washroom). 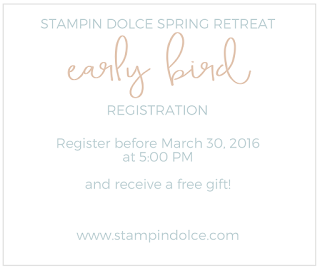 Contact me to register today and join me in the studio for a day of stamping! If you are a Canadian follower, I will have this project kit available "to go". International followers can purchase PDF instructions for this kit ... both are coming soon! Check out these other three beautiful projects available at the spring retreat. You can never have enough Birthday Cards! 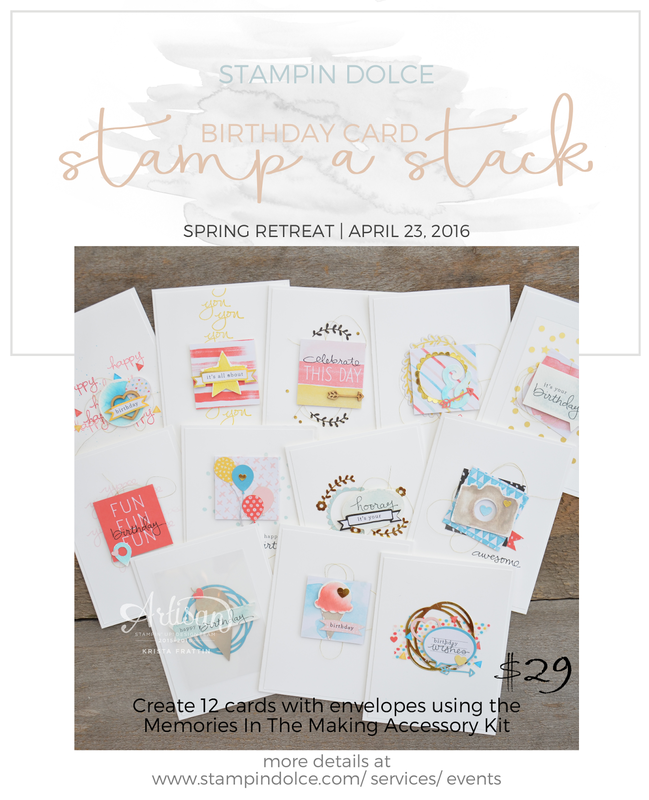 This colorful and fun Birthday card stamp a stack will be available at the 2016 Dolce Spring Retreat. 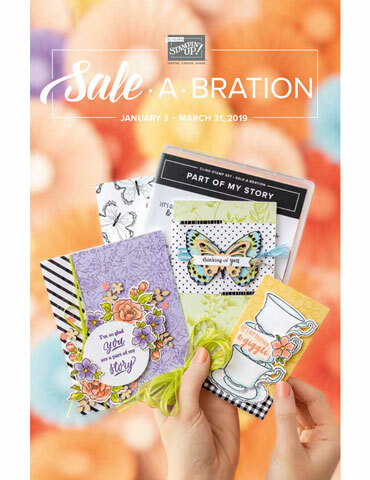 These cards are create with a simple Whisper White Cardstock base and the Memories in the Making Project Life Accessory Kit. 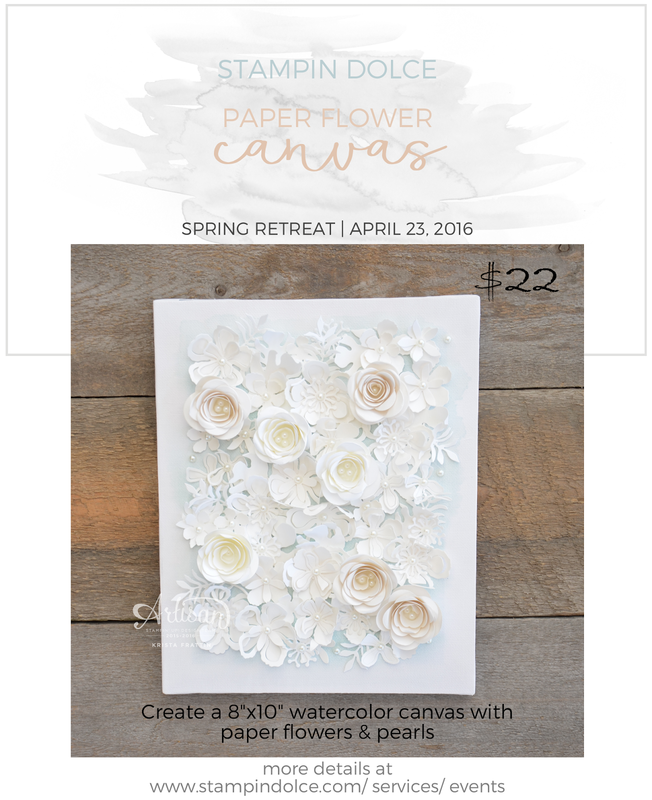 You will love the watercoloring and gold accents. 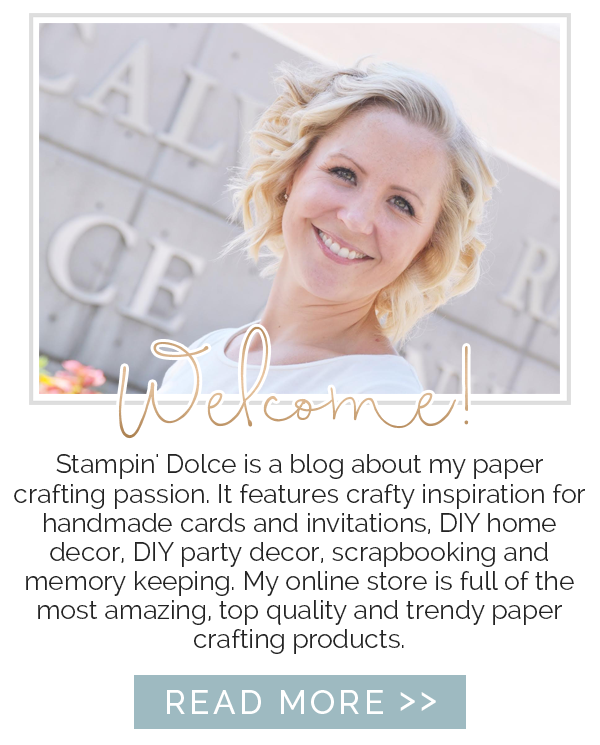 When I showcased this project for the Stampin' Up! Artisan Design Team on the blog I had a huge request for a class! 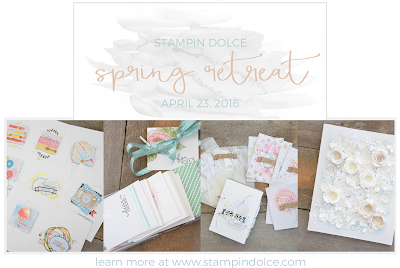 I have decided to add this project to the 2016 Dolce Spring Retreat. 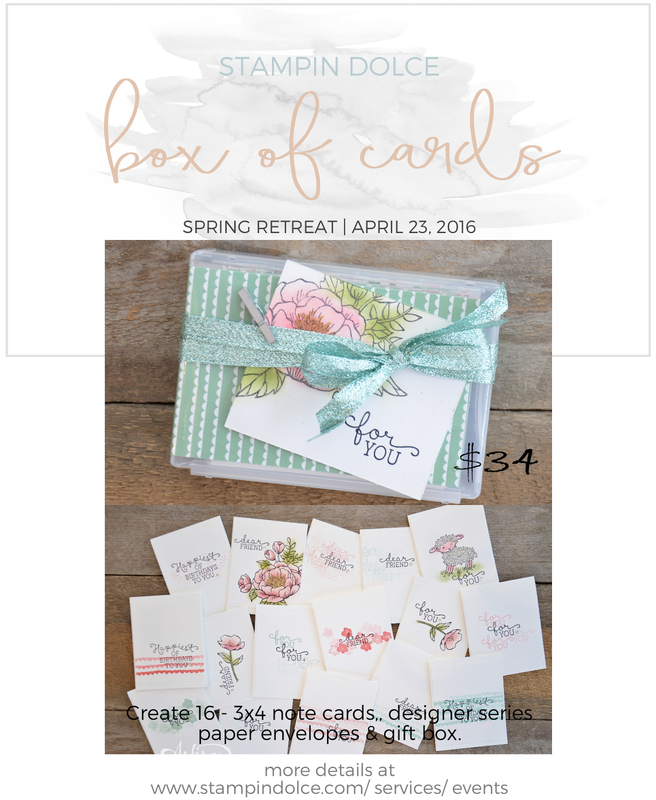 These may be the easiest note cards that you have ever created (and the cutest too!). 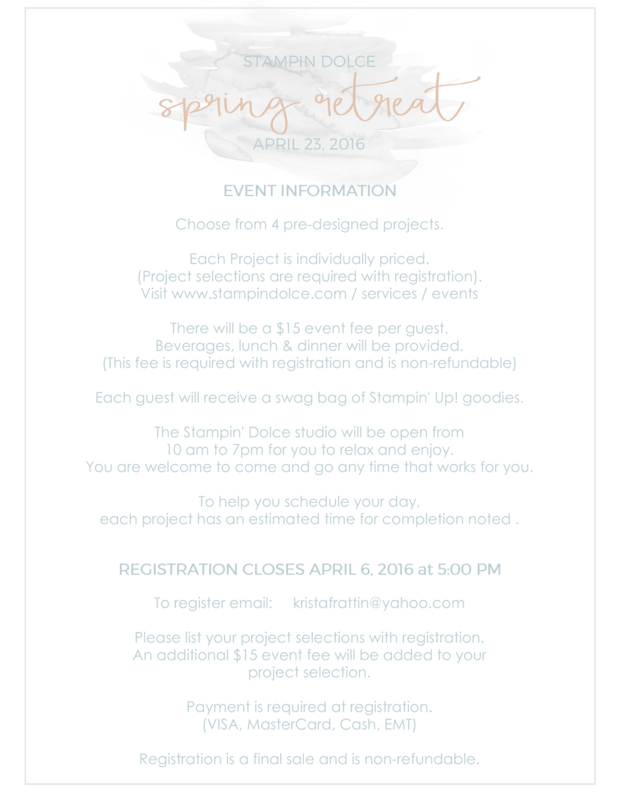 Contact me to register and join me in the studio on April 23, 2016. If you are a Canadian follower, this kit will be available "to go". My international followers can purchase PDF instructions ... more details for both are coming soon! 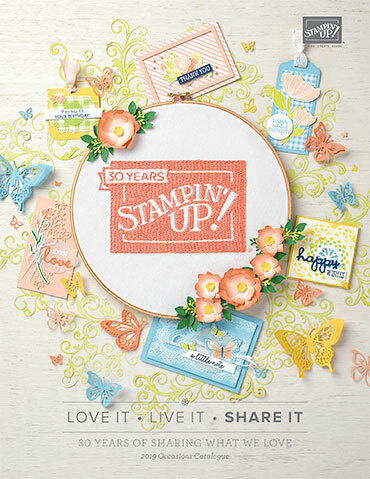 These projects come together like a breeze with the You're So Lovely Kit from Stampin' Up!. 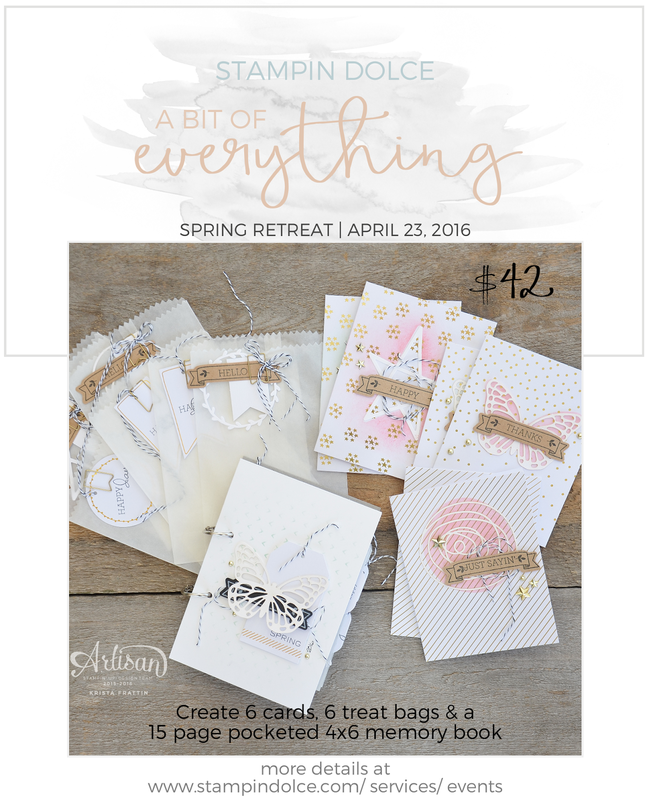 You will create 6 cards with envelopes, 6 treat bags with tags and a 15 page pocketed 4x6 memory album. 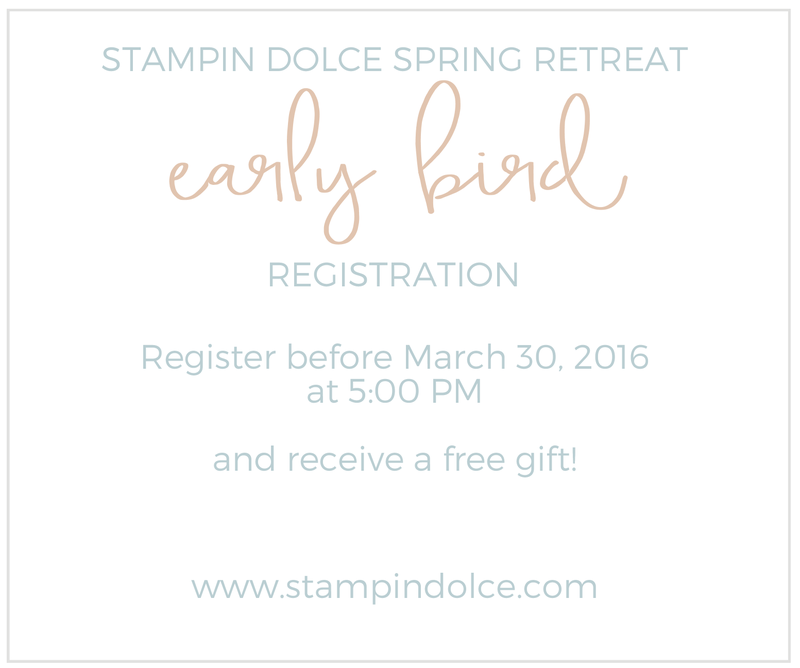 Contact me to register! 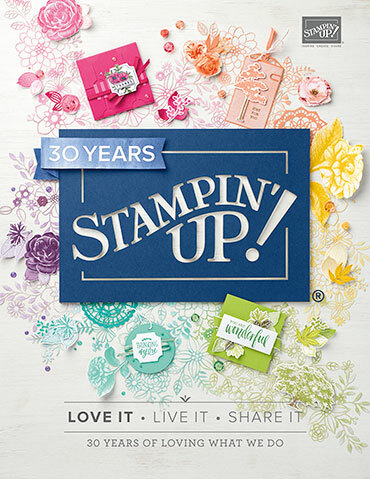 I would love to have you in the studio to stamp. If you are a long distance Canadian follower this project kit will be available "to go". If you are an international follower PDF instructions will be available ... both are coming soon!